Harrison Silverdale was formed by John Harrison in 1982 with the aim of servicing the manufacturing industry in all market sectors with high quality, engineered fastening solutions. Over the years we have gained an enviable reputation for quality and reliability serving leading OEM’s and Distributors across Europe, USA and Australasia. Whilst the company has grown our ethos has remained the same focussing on customer service, technical support and competitive pricing which has proved to be the corner stone to our success. Our core products are fasteners for plastic and sheet metal but our extensive range means the applications are endless. 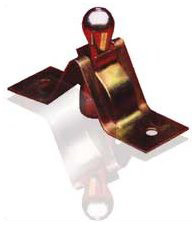 Parts are manufactured both locally and across the globe resulting in flexible lead times and competitive pricing. We have a design service for special parts which is covered by our ISO 9001:2015 quality approval. This means we can offer technical support from the design concept through R&D to bulk supply with stock management options. Our extensive range, engineering expertise and product knowledge means we are best placed to provide a cost effective supply solution for your fastener requirements. Call our sales office to find out more about how we can benefit your company. All our procedures are covered by our ISO 9001:2015 approval. All products are fully batch traceable. ISIR reports and PPAP Level 1-4 is available on request.